This item is on extended backorder. Click here for a comparable product. 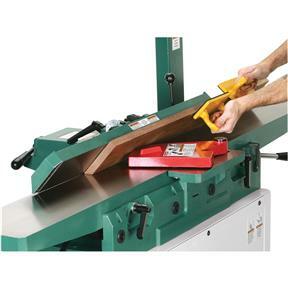 This 8" Jointer is sure to be popular among both professional and hobbyist woodworkers. The 76-3/8" table with extra-long infeed table and huge fence will make sure your stock is cut accurately. 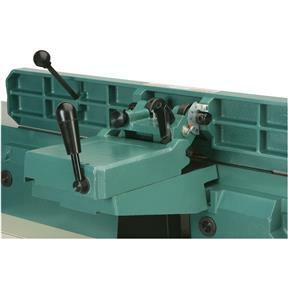 The easy-to-reach pedestal-mounted switch and lever-controlled table elevation make this a joy to operate. Our foot-pedal operated, built-in mobile base will allow you to keep this monster out of the way, yet still be easy to move when needed. We made the welded steel cabinet extra large for an incredibly stable platform. 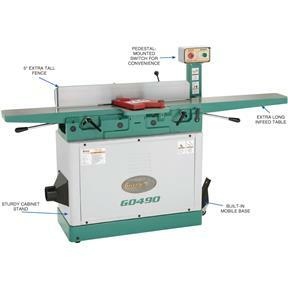 This machine will gobble up wood with ease and produce smooth, straight, and flat stock all day long. CSA certified meeting CSA C22.2 #71.2-08 and UL 987-7 standards! 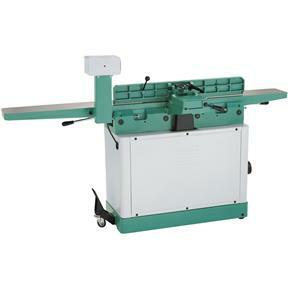 Total table size: 8" x 76-3/8"
Infeed table size: 8" x 43-3/8"
Cutterhead knives: 4 HSS, 8" x 3/4" x 1/8"
Max. 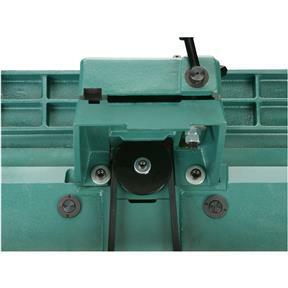 depth of cut: 1/8"
Approximate shipping weight: 562 lbs. 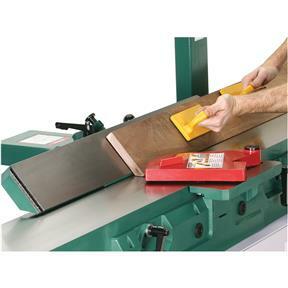 Im a little ashamed to say that I have never owned a jointer prior to purchasing the G0490 parallelogram jointer. 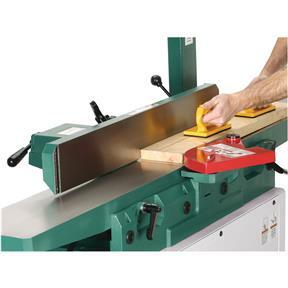 I have been wanting to add a mid sized jointer to my arsenal of shop equipment for years. Now that I have it (G0490) Im not really sure how I was getting by without one all this time. 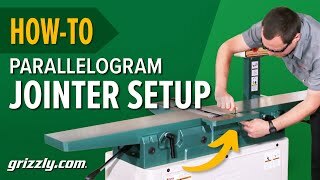 Believe it or not I have been a cabinet maker woodworker since 2004, I used many other means (much less efficient) to joint & straighten stock, and never really thought about how much time I was wasting in not owning a jointer. I have probably ran close to 1000 ln ft of material through it in the last month alone. Set up was a breeze, I believe this was primarily due to the machine being very well calibrated out of the box. The machine showed up set to perfect parallelism, all I had to do is adjust outfeed table to correct height with cutter head. As with all my Grizzly equipment I love the G0490. Two thumbs up from this guy. I received this jointer about a month ago and overall it is a great machine. 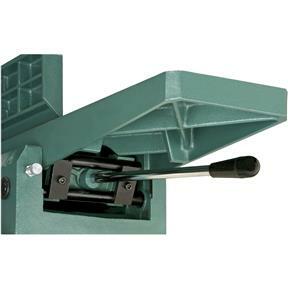 It's very solidly built and produces very good results. The only disappointment I have with the machine is that nearly all of the factory alignment and calibration settings were off due to most(almost all) of the bolts not being tight. Some of them were actually so loose that they could be turned without needing any tools. 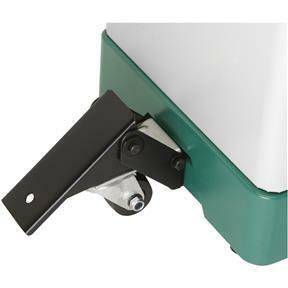 Even the spring in the blade guard was off and had to be adjusted and the bolt tightened so that the guard would go back into place after being pulled away from the fence. 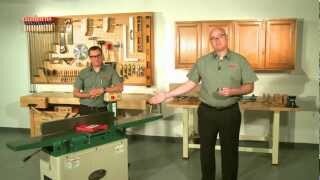 As a result, it took many hours to get the jointer set up and calibrated properly. 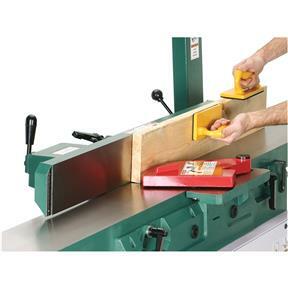 If not for these issues, I would have given this jointer a 5-star rating. Now that everything is set up properly, I think this jointer will be a great addition to my shop and expect it to be a very reliable machine. We run a small, custom furniture shop. 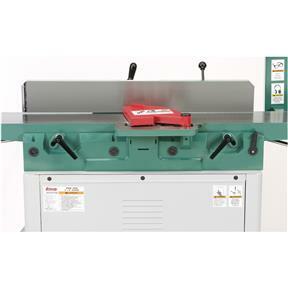 We already have your 17" band saw, 8" jointer, and flap sander. All are working well. Thank you! Same exact thing happened to us with UPS freight - we setup an appointment and they were 3 days late. Bought the g0490 and put the Byrd shelix head on it. What a machine!!! The wood comes out smooth and tear out free.